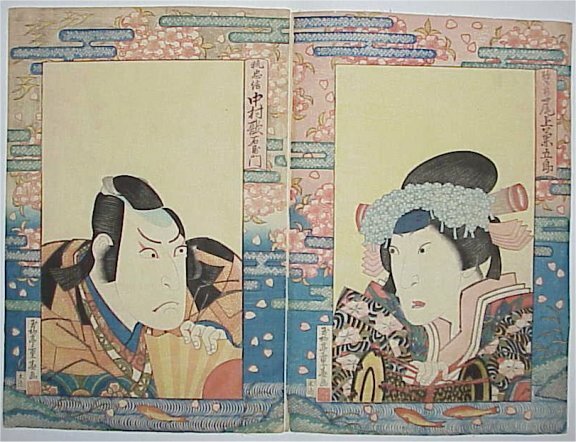 A surimono diptych of actors. 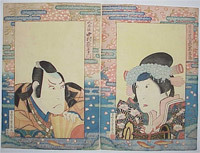 Shigeharu, according to contemporary accounts, was the only professional full-time actor/print designer. True shikishi-ban Osaka surimono are extremely rare: Anecdotally there are supposed to be some others in the vaults of the Victoria and Albert Museum, London.AA surimono of a sumo wrestler in a typical stance. The calligraphy above, being gold on a dark blue ground and which might be a guide to the wrestler, is too obscure to read. 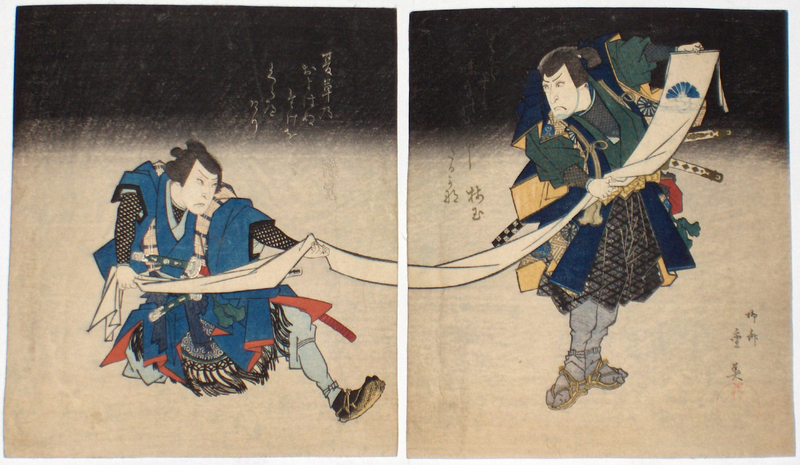 Although sumo is a rare subject for surimono, there are another two illustrated examples showing a very similar composition and pose. 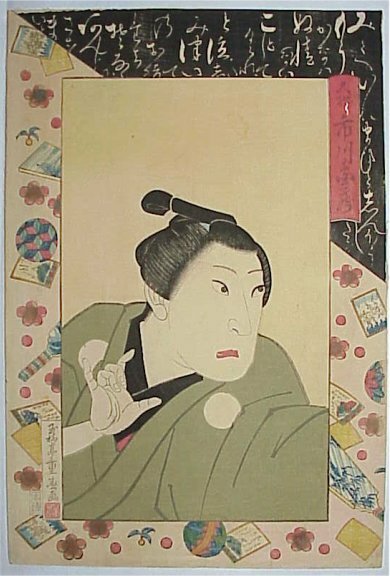 See: The Kunisada, no.100, p.147, Jewels Of Japanese Printmaking: Surimono Of The Bunka-Bunsei Era 1804-1830, Joan Mirviss, Ota Memorial Museum Of Art, 2000; and the ( attrib. 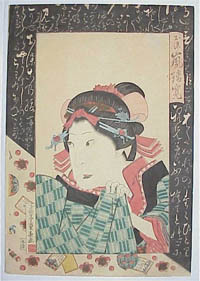 to ) Shuntei, p.75, Surimono, Helena Markus, Firenze 1983. Published c late 1820s.